We’d love your help. 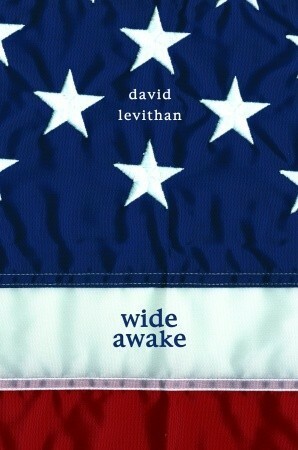 Let us know what’s wrong with this preview of Wide Awake by David Levithan. I can't believe there's going to be a gay Jewish president. As my mother said this, she looked at my father, who was still staring at the screen. They were shocked, barely comprehending. Me? I sat there and beamed. Everything seems to be going right in Duncan's life: The candidate he's been supporting for president has just won the election. Duncan's boyfriend, Jimmy, is wi I can't believe there's going to be a gay Jewish president. Everything seems to be going right in Duncan's life: The candidate he's been supporting for president has just won the election. Duncan's boyfriend, Jimmy, is with him to celebrate. Love and kindness appear to have won the day. To ask other readers questions about Wide Awake, please sign up. This book was so fantastic. How do I describe it? Basically, imagine if Bernie Sanders and Donald Trump won the nominations for their parties, only Bernie was gay and instead of being mostly focused on Wall Street &c he was more idealistic and about all of us coming together as "great community." Then imagine he's elected president, but the opponent refuses to concede the election and instead tries a mass voter disenfranchisement tactic to try and make himself the victor. Also, imagine that someone very much like Donald Trump was already elected president last time around, and had actually done all the things that he said he's going to do, and America and the world is still reeling from the aftermath. Wide Awake is basically about that, and a young gay Jewish boy navigating his way through it, fighting against the voter disenfranchisement, and figuring out his relationship. I LOVED it. If I'd read this book a year ago I would've thought it was too unrealistic, that it would never happen. And there are certainly still parts that I hope to God won't happen, but given our current political state, they're now legitimate possibilities. So it was kinda great to see some of those possibilities explored. Wide Awake was also the best exploration of faith I've ever seen in a book. I loved the future of faith (and Christianity in particular) that David Levithan laid out. There's a "Jesus Revolution" that has taken place, which is basically a large amount of Christians saying heck no to the fear-mongering and judgment that other Christians preached. The depiction of faith was really, really lovely and made me hopeful for the future. There was one very odd bit having to do with a trans character, and a fair bit of misgendering. It wasn't exactly offensive or hurtful, at least not to me, it was simply... odd. There's also a bit where the main character talks about dressing up as Paul Revere dressing up as a "Mohican" for the Boston Tea Party, which... didn't seem like the greatest. I want you to believe me when I say that David Levithan really is one of the best writers in YA. I won't pretend he's consistent, but when he's at his best (Every Day, Will Grayson Will Grayson, Love is the Higher Law), he creates complex characters, with strong voices, and unique premises that only could've come from him. He's also one of the best writers of LGBT fiction I can think of, except maybe Malinda Lo. He's one of the few authors who really explores the different people that identify a I want you to believe me when I say that David Levithan really is one of the best writers in YA. I won't pretend he's consistent, but when he's at his best (Every Day, Will Grayson Will Grayson, Love is the Higher Law), he creates complex characters, with strong voices, and unique premises that only could've come from him. He's also one of the best writers of LGBT fiction I can think of, except maybe Malinda Lo. He's one of the few authors who really explores the different people that identify as gay, and what that identification means in the real world, all without writing stories that feel like vehicles for a positive message. Two Boys Kissing is the best display of what it means to be a gay teenager I know of. I say all that because all that makes it all the more disappointing when he writes terrible books like this one. This fails at everything that Levithan would later succeed at in Two Boys Kissing - whereas the latter balances character development and a realistic political message, this is idealistic, unrealistic, with bland characters. It's a vehicle for Levithan's mainstream liberalism. The political message itself is far more flawed than the one that appears in Two Boys Kissing, and I plan on writing a piece commenting on that later. But here, I wanted to comment on this failing as a book, rather than Levithan's failing as a political commentator. The thing that stands out the most is how obvious it is that the characters and writing are Levithan's default. None of the secondary characters get any real development - they're all just nice, dedicated people. Duncan, our protagonist, is the only one that feels even remotely like a real person, and he's the same narrator that appears in a lot of Levithan's books. You could've called him Nick, Ely, Dash, the unnamed narrator of The Lover's Dictionary, or even A and I wouldn't have been able to tell the difference. Both in personality and voice, he's the same as all of those protagonists of Levithan's. This isn't the only time Levithan has focused on something other than character development - the focus of Love is the Higher Law was on New York in general, rather than the specific characters. But there, I never felt like Levithan had forgotten about developing his characters. They weren't the focus, but after reading the book, I still felt like I knew them. I still got a sense of their lives outside of the plot, I still felt like they were real. That's not the case here - for all I know, Duncan doesn't do anything other than go to political rallies. We know nothing about him except his views on politics. It's boring and frustrating. The plot itself is difficult to get into without talking about how I feel about Levithan's political views. But I will say this: the way Levithan set up his conflict was pretty frustrating. There really is no conflict outside of the broader politics, outside of the (completely predictable) question of whether or not Stein will be president or not. Duncan experiences no personal conflict. His character has no growth - Levithan doesn't even pretend. There is a minor conflict, among some of Duncan's friends, involving one of his friends cheating on another. But it's not at all engaging or necessary - it feels tacked on. There really is almost nothing at all to say about this book that doesn't have to do with Levithan's political opinion. This is a politically dominated book. Much like 1984 or Fahrenheit 451, it only exists for the purposes of being an essay. The best I can give it is that Levithan's prose is excellent is always. Other than that, this is Levithan's absolute worst book. The only other book of his that even comes close is Naomi and Ely's No-Kiss List, and even then, the lack of quality was mostly Rachel Cohn's fault. Levithan has so many books that are far better than this - really, if you want to read David Levithan, I'd recommend any of his books over this one. David Levithan's books make me so happy young people have access to his writing - perhaps making their personal journeys a bit less isolating and a lot more promising. Wide Awake in particular becomes a must-read YA novel in this insane election year. What a sense of hope Levithan gives all of us for a near-future full of possibility. Decades from today, the results of the election are out, and for the first time in the history of the United States, a gay, Jewish president, Abraham Stein, has been elected. After the Greater Depression, the War to End All Wars, the Reign of Fear, and the Jesus Revolution, the moment has arrived. Seventeen-year-old Duncan, who has spent the last few months working with his boyfriend, Jimmy, as a volunteer at the campaign headquarters, can finally stand up for the Pledge of Allegiance because at last the words "with liberty and justice for all" make sense. But soon everything will take a 180-degree turn. The governor of Kansas, a member of the opposition party, demands a recount. Stein is determined to fight back, and asks all the people who have elected him to go to Kansas and show their support. Everyone at the election headquarters decides to board their bus that night and join this pilgrimage to Kansas. Duncan, always insecure, always wondering about what Jimmy will think and what will happen to their relationship, knows that going to Kansas is the right thing to do. It's the once in a lifetime opportunity to help write history, and he decides to board the bus despite his parents' disapproval. However, the trip proves to be more challenging than he thought. Duncan and Jimmy's relationship seems strained. Their friend Keisha finds out that her girlfriend, Mira, was having an affair with another girl in the group. And when the group arrives in Topeka, Kansas, they have to endure the insults and vicious attacks of the Decents (the supporters of the opposition party). They camp out in the center of town, along with more than half a million other people, with not much food, only a few accommodations, and no quick resolution in sight. Will it be worth it? Will justice prevail? This is a most interesting YA read. The U.S. has an elected a gay, Jewish president -- or so it seems until Kansas decides maybe the count is off. The group of 16-yr old teens who worked so hard on the campaign are devastated, just as the "Decents" who opposed the candidate are. The tag line of the book is "What are you willing to do for what you believe in?" Levithan is an excellent writer and may have missed his calling when he decided not to become a political speechwriter (the speeches by the This is a most interesting YA read. Levithan is an excellent writer and may have missed his calling when he decided not to become a political speechwriter (the speeches by the elected officials in the books are outstanding). Plus, he has a sense of humor (as when you meet the boy named Sue who looks for his father, who is now Loretta). The questions posed in this book are valuable and relevant to teen life, no matter what the beliefs. Perhaps one of the most interesting perspectives is that the candidate is elected thanks to the "Jesus Freaks" -- an absolutely fascinating perspective on how values coincide. Everyone should read this book. If 1984 shows us how bad the world can get, this book shows us how good things can get, gives hope that ultimately we humans, though we do bad things, will pull together for the good of everyone. The two books I have read from David Levithan so far have required quite a bit of suspension of disbelief - in "Boy Meets Boy" it was a bit easier to get over the initial resistance to it, but "Wide Awake" suffers because of it. It's a shame, because it could have been a truly great and inspiring YA novel. Levithan's world-building always seems to push a bit too far - my first stumbling block was the notion that in the future we no longer shop for stuff, but just go to look at them and then dona The two books I have read from David Levithan so far have required quite a bit of suspension of disbelief - in "Boy Meets Boy" it was a bit easier to get over the initial resistance to it, but "Wide Awake" suffers because of it. It's a shame, because it could have been a truly great and inspiring YA novel. Levithan's world-building always seems to push a bit too far - my first stumbling block was the notion that in the future we no longer shop for stuff, but just go to look at them and then donate the money we would have spent to charity. Huh? Sorry, hopefully humans will evolve more socio-politically as time passes, but we are still materialistic creatures at heart. The other stumbling block is that, in a book full of pop-culture references, the song "A Boy Named Sue" is used as a plot point - as in, we meet a character named Sue who is living the life of the character from that song. I kept waiting for this point to be referenced, or for it to be explained more as the book progressed, but it wasn't. It just stuck out like a sore thumb and I didn't see why it was used at all. I think it's because this book felt like a project. It felt forced. It felt like every word was constructed not to woo the reader, but to sway the reader. It felt like a political campaign: Read my book! Think like me! Make the future match my ideal! I wasn't able to get lost in the characters because the characters were simply props used to make Levithan's point. Not unlike _Unbearable Lightness of Being_ except that Kundera was brilliant and kept you caring for his stick characters while Levithan's stick characters leave a dry, dissatisfying taste in your mouth. I felt like I was being persuaded and it was not a pleasent feeling. This book was published in 2006, but all I could think was how easily it could have happened in 2016. It fit everything happening with Trump so perfectly, and I was amazed to find out it wasn't based on all of that. I loved seeing how focused and passionate this group of people was on what was happening in their government, even though they weren't old enough to vote. The way he described people like the teacher, or those boys who they got into a fight with, was just so real. Don't we all know p This book was published in 2006, but all I could think was how easily it could have happened in 2016. It fit everything happening with Trump so perfectly, and I was amazed to find out it wasn't based on all of that. I loved seeing how focused and passionate this group of people was on what was happening in their government, even though they weren't old enough to vote. The way he described people like the teacher, or those boys who they got into a fight with, was just so real. Don't we all know people like that? My favourite thing, though, was the sense of hope that came from it. Yeah, there are times where it all seems completely hopeless. But the way they fight, you just know it's going to be okay. David Levithan was recommended to me as an author who could write about homosexuality front and center and give it a happy ending. But this book was not really what I was looking for. It was an interesting journal of a political movement, but honestly, it was really a one note samba. It definitely wanted to give a positive message, but the nuance it had in the beginning was swept away as Duncan joined the protest. In the end, the only thing i found convincing about the book was the relationships. David Levithan was recommended to me as an author who could write about homosexuality front and center and give it a happy ending. But this book was not really what I was looking for. It was an interesting journal of a political movement, but honestly, it was really a one note samba. It definitely wanted to give a positive message, but the nuance it had in the beginning was swept away as Duncan joined the protest. In the end, the only thing i found convincing about the book was the relationships. Duncan was a mushy egg. Jimmy was awful, insensitive, careless and selfish, even as he pretended to be entirely of noble motive. None of the girls actually got any characterization. There were just the lesbians and the Jesus Freaks, nothing more complex. The truth is, even though it dealt with 'issues' like homosexuality and prejudice, this was really an MG novel, not YA. It was interesting, but very, very simple. At first i was worried something bad would happen, and then, about halfway though, i was angry that it hadn't. There are three things about David Levithan's books that I adore: the tenderness with which the protagonist views the world, the writing that has so much energy it seems to pop off the page, and finally, the creation of a world that is so idealistic and believable that I want to pack my bags and move to it. It's the last one that I had a problem with in this book. Wide Awake is set sometime in the distant future where teens hang out at non-shopping malls and give their money to charity rather tha There are three things about David Levithan's books that I adore: the tenderness with which the protagonist views the world, the writing that has so much energy it seems to pop off the page, and finally, the creation of a world that is so idealistic and believable that I want to pack my bags and move to it. It's the last one that I had a problem with in this book. Wide Awake is set sometime in the distant future where teens hang out at non-shopping malls and give their money to charity rather than spend it on CDs and clothing, being gay is no big thing, America has just elected its first gay, Jewish president. To be clear, I'd back my bags and move to this America in a heartbeat, if I believed it could exist. So part of my ambivalence to the story is my cynicism, but the other part is that the messages seem so heavy handed. Early in the book the social commentary and political statements overtook the characters and the story. Umm -- slow day at work, so I read my first Levithan. I know, I'm embarrassed on two fronts. Yes, it's super-idealistic, but why not? Isn't that what this country is all about? It was founded in idealism and I just keep wondering, where is our outrage? I sleepwalked through the Bush presidency. I could not believe that I lived in a country where he was elected! Eight years and I didn't do anything, not really, to express my dismay. Well, I love that David Levithan imagines a better world and desc Umm -- slow day at work, so I read my first Levithan. I know, I'm embarrassed on two fronts. A huge disappointment after Boy Meets Boy. This novel was way too preachy, I felt like Levithan hammered me over the head with his message at every point. Where Boy Meets Boy was beautiful, funny and sad, Wide Awake was just... boring. I felt no sort of relationship with the characters at all, there was never any doubt as to how it all would turn out, and the beautiful phrases that had made Boy Meets Boy such a joy to read was sorely lacking from this novel. This one suffered from some pretty heavy-handed moralizing about politics in the US, plus there were too many characters to even begin to keep straight (no pun intended.) A good "what if" concept gone wrong. I'm not in the mood to continue reading this right now and I hate having it as "currently-reading" on my main page because there's too many books and I get stressed, so I'm shelving as "abandoned" for now. The fact that this book was published in 2006 and the ideas are still relevant in 2018, perhaps even more than they were then, made me emotional more than once. It's not a perfect book, sometimes unnecessarily poetic, but it's really good. David Levithan's future is the first one I've read I would actually want to live in! I treasure his optimism. An America that again merits the name of democracy--equal justice for all--would be worth fighting to achieve. Instead we have our political reality in all its intolerance and ugliness. A book about the President stealing the election via shenanigans with the electoral college, while losing the popular vote, is all too familiar. But politics is just one aspect of the story--there's also David Levithan's future is the first one I've read I would actually want to live in! I treasure his optimism. An America that again merits the name of democracy--equal justice for all--would be worth fighting to achieve. Instead we have our political reality in all its intolerance and ugliness. A book about the President stealing the election via shenanigans with the electoral college, while losing the popular vote, is all too familiar. But politics is just one aspect of the story--there's also teenage romance! His characters are people I care about, some more deeply than others, but their journey together is quite remarkable. His boys in love are adorable, as is the older couple who dust off their protest signs. And Gus! And Sue! I loved Sue (can't say more without a spoiler). Reading the synopsis of Wide Awake, I found it difficult to see how David Levithan could pack religion, politics and sexuality into a book that's just over 200 pages long and make it meaningful. It's a minefield of hot topics that could have been awkward, preachy or uncomfortably controversial. But in true David Levithan style, he takes a story and completely ensnared me in the life of Duncan, his boyfriend Jimmy, his friends and a cast of characters caught up in the election of the first gay Jew Reading the synopsis of Wide Awake, I found it difficult to see how David Levithan could pack religion, politics and sexuality into a book that's just over 200 pages long and make it meaningful. It's a minefield of hot topics that could have been awkward, preachy or uncomfortably controversial. But in true David Levithan style, he takes a story and completely ensnared me in the life of Duncan, his boyfriend Jimmy, his friends and a cast of characters caught up in the election of the first gay Jewish president of the United States. Jimmy's world is similar to ours now, but global recession, war and terrorism have greatly changed the political and religious outlook of America and the rest of the world. Duncan is a sweet, rather naive boy who seems to believe that what is right will always win - and it's an endearing quality rather than a frustrating one, as the story of his journey in realising that the world can be a frightening and pretty unfriendly place when you are different. In his home town, with his family and friends, his religion, sexuality and political beliefs are fairly widely accepted, with a few exceptions among his peers and with one particularly nasty teacher. Jimmy is rather more dark and negative, but with Duncan as his partner they balance each other perfectly. There's a fantastic supporting cast of teen and adult characters that make for a memorable group of people who are simply standing up for what they believe in, without any doubts that their cause will fail. I love that David Levithan took a world that could have been dark and disturbing and made it into an exciting, interesting take on what change could really mean. Although there are still divisions between religious and political beliefs, there are also groups that have changed how they interact with each other to make a more varied, joined country. As an imagining, this world felt like a real possibility. I enjoyed Wide Awake far more than I thought I would given the synopsis, and I loved returning to David Levithan's imagination. Gotta admit it took me a few pages to do so. I'm a realist and half the time also a pessimist. When I dislike something, there's a tendency I'd lash out against it, especially when said it is defenseless and just begging to be bashed. To conclude,(view spoiler)[because Gaia, I can hear the fanfic calling for me and really, I'm sorry but I have no self control! (hide spoiler)] it's a book that made me want to MOVE for something I'd want to live for (after making me feel like a sack of potato, that is). Honestly, not really impressed by this novel. As far as the Goodreads rating system goes, I should probably give it 2 stars, but I feel that doesn't really show how I feel about it, so 3 it is. Basically, this is a novel about history in the making - in the future. It's a little confusing, I suppose, but not so much when you read it. The problem I have here is that Levithan's characters are so one dimensional they're practically stereotypes. Not quite, but almost. In a young adult novel, is it t Honestly, not really impressed by this novel. As far as the Goodreads rating system goes, I should probably give it 2 stars, but I feel that doesn't really show how I feel about it, so 3 it is. Basically, this is a novel about history in the making - in the future. It's a little confusing, I suppose, but not so much when you read it. The problem I have here is that Levithan's characters are so one dimensional they're practically stereotypes. Not quite, but almost. In a young adult novel, is it too much to ask for for characters to sound like people? It's not a children's fairytale, after all, you can't get away with transparency in your characters. Compound this with the fact that the plot is also very straight forward, without a real climax that involves confrontation, that the characters don't face a real struggle, either emotional or physical, or, when they do, Levithan writes it as he writes his characters: one dimensional, almost as if he's skimming over it. Maybe that's the real problem I have with Levithan's novels, the wasted potential. This is the fourth of his novels I've read, and while Love is the Higher Law and Every Me, Every You were quite good, particularly the former in its emotional depth, this novel and Boy Meets Boy were very shallow. Yes, it's nice to have an LGBT novel that's light, with a happy ending, but there is such a thing as too light. If this novel were longer, delving in and exploring the various characters' emotional complexities and their relationships with one another, still keeping the exact same plot, it would have been utterly fantastic. But it didn't, so it disappoints. I love David Levithan's futuristic fantasy: some decades from now, a gay Jewish man is elected as president. Predictably, the political forces against him try to shenanigate and gerrymander to steal the election back. Can a Gandhi-inspired crowd hold back such political evil? Of course Levithan is speaking to present-day America, and to all people everywhere hoping for a more equal, inclusive and fair life for everyone. Should we be realistic, idealistic or fatalistic? Through it all, different I love David Levithan's futuristic fantasy: some decades from now, a gay Jewish man is elected as president. Predictably, the political forces against him try to shenanigate and gerrymander to steal the election back. Can a Gandhi-inspired crowd hold back such political evil? Of course Levithan is speaking to present-day America, and to all people everywhere hoping for a more equal, inclusive and fair life for everyone. Should we be realistic, idealistic or fatalistic? Through it all, different relationships and their complexities are considered. However, the narrative never becomes heavy or overwrought. This novel becomes a totally likeable story with its heart on its sleeve. I'm a fan of David Levithan. His characters feel like old friends from the very beginning of his books. Duncan and Jimmy are no exception - their relationship isn't perfect, but it is beautiful and lyrical and touching. The story, centering around a contested election involving the first gay Jewish president, definitely made me think and wonder about the future. Could this be possible someday? If this could be possible, what else about our world could change? I enjoy finding books that ask big q I'm a fan of David Levithan. His characters feel like old friends from the very beginning of his books. Duncan and Jimmy are no exception - their relationship isn't perfect, but it is beautiful and lyrical and touching. The story, centering around a contested election involving the first gay Jewish president, definitely made me think and wonder about the future. Could this be possible someday? If this could be possible, what else about our world could change? I enjoy finding books that ask big questions and allow me to consider the answers for myself. Levithan definitely leans on some stereotypes in order to get his point across (read "Decents" as "Republicans") but most of his characters are refreshingly quirky and intriguing. I particularly loved Elwood, the adorable almost-thirteen-year-old who wants to convert to Judaism. As a gay Jew himself, he writes about Judaism with clear love and affection (in most, if not all of his books, not just this one). This review has been hidden because it contains spoilers. To view it, click here. I didn't like this book very much. I liked the basic point, that you should be politically active and fight for what you believe in. The actual plot/details ruin the book though. The personal conflicts were boring and seemed added-on. The "history" between now and the book's time is ridiculous. For all the celebrating of di I didn't like this book very much. I liked the basic point, that you should be politically active and fight for what you believe in. The actual plot/details ruin the book though. For all the celebrating of diversity, there is no mention of any religions other than Christians and Jews, and the book indicates that there have only been white presidents. We try to be nice to the mean people, they attack us, it's broadcast on TV, someone important sees it and the governor is exposed, the opponent concedes, our guy wins! Seriously? I understand that this was written pre-Obama, but because of his historic election, this book has lost most of its edge. Wide Awake is a novel about America's first gay Jewish President and how Jimmy and Duncan, along with a thousand others, became a part of a huge historical event. 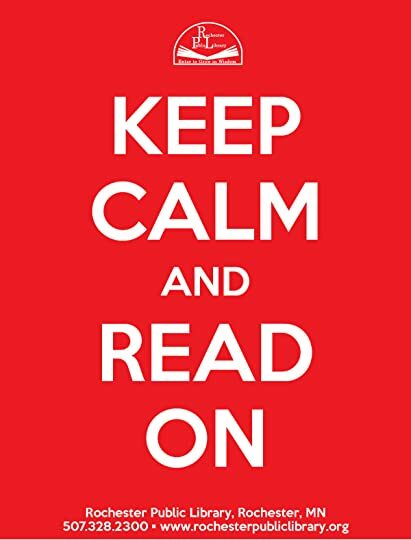 Quick and easy to read. I liked the plot-- simple but unique and interesting enough, for me. I also liked the mix of politics and all those political speeches from different characters in the novel. One minor character in the novel also stood out for me--- namely, Sue. He had a very minor part in the novel but he was defini 3.75 stars. Quick and easy to read. I liked the plot-- simple but unique and interesting enough, for me. I also liked the mix of politics and all those political speeches from different characters in the novel. One minor character in the novel also stood out for me--- namely, Sue. He had a very minor part in the novel but he was definitely such a memorable character. -1 star because of the dialogues between Jimmy and Duncan that were quite clichéd and, sorry, a bit too boring. I mean, I really liked their characters per se, their relationship problems and all that stuff-- not that much. -.25 star 'cause I felt like there were also quite a handful of "filler" pages/chapters. I wanted to like this book, but I think I might be just a little too cynical to see this future as "not too distant." The picture that Levithan painted was just way too rosy - so rosy that I didn't for second feel any real tension in the book. Everything in this future is just so nice that of course our protagonist is going to get everything that he wants eventually. And the song references were way too numerous and trite. Seriously, triplets named Glen, Gary and Ross? Couldn't they have at least I wanted to like this book, but I think I might be just a little too cynical to see this future as "not too distant." The picture that Levithan painted was just way too rosy - so rosy that I didn't for second feel any real tension in the book. Everything in this future is just so nice that of course our protagonist is going to get everything that he wants eventually. While this book is short, it carries a deep message about respect, equality, love, and personal growth. I was fascinated by the world David Levithan has created within these pages. Of course, the tragic events that occurred to get society to such a wonderful place were horrible – but the happy ending was happening as his story began. To see love and equality ranking so high in government and people’s every day lives was inspiring. The romance told the story of first love beautifully. The angst ov While this book is short, it carries a deep message about respect, equality, love, and personal growth. I was fascinated by the world David Levithan has created within these pages. Of course, the tragic events that occurred to get society to such a wonderful place were horrible – but the happy ending was happening as his story began. To see love and equality ranking so high in government and people’s every day lives was inspiring. This review has been hidden because it contains spoilers. To view it, click here. 3.5 stars. Overall way too idealistic to be realistic in any way, but there are some aspects that feel very relevant. The characters aren't very well developed, but I did like Duncan and Jimmy's relationship. Regardless of its flaws, I'd say this is a good book for every millennial to read, because it sends the right message and asks the right questions. What are you willing to do to defend the values you believe in? Will you take a stand or stay at home when it counts? This novel encourages youn 3.5 stars. Overall way too idealistic to be realistic in any way, but there are some aspects that feel very relevant. The characters aren't very well developed, but I did like Duncan and Jimmy's relationship. Regardless of its flaws, I'd say this is a good book for every millennial to read, because it sends the right message and asks the right questions. What are you willing to do to defend the values you believe in? Will you take a stand or stay at home when it counts?